Home Campaigns, Open Letters and News Alerts Human rights defender Yevgeni Zhovtis finally free! Human rights defender Yevgeni Zhovtis finally free! 17 February 2012. The International Partnership for Human Rights (IPHR) welcomes the long-awaited release from prison of Kazakhstani human rights defender Yevgeni Zhovtis. “It is a great relief that Yevgeni finally has been able to leave prison and now can be reunited with his family and colleagues,” said Brigitte Dufour, IPHR Director. “This is a day that the human rights movement in the entire OSCE region has been looking forward to ever since his conviction more than two years ago,” she added. Zhovtis was released this morning as a court decision from 1 February to amnesty him entered into force. An amnesty law adopted on the occasion of Kazakhstan’s 20 years independence anniversary in 2011 provided for the amnesty of certain categories of individuals charged with or convicted of crimes considered to be of low or medium severity, as is the case with respect to the crime for which Zhovtis was imprisoned. The amnesty law was signed by President Nazarbaev on 28 December 2011, but required court decisions to be applicable in individual cases. 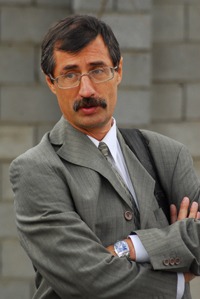 Zhovtis, who is the founding director of Kazakhstan’s International Bureau for Human Rights and Rule of Law, was sentenced to four years in prison in September 2009 for accidentally killing a pedestrian with his car. The trial against him was fraught by procedural irregularities and has been widely criticized. The circumstances of the case against him raised strong suspicion that a tragic incident was exploited in an attempt to silence a leading human rights critic. Requests for early conditional release filed by Zhovtis have been rejected because of ”reprimands” he has been given for alleged violations of prison rules. He has also been subjected to discriminatory treatment in relation to other prisoners in the colony where he has been held, e.g. by not being allowed to work outside of the colony and having restricted access to information. While celebrating Zhovtis’ release, IPHR regrets that his case has not been reviewed in a fair trial. The organization also calls on the authorities of Kazakhstan to put an end to all politically motivated and unfair trials and release all individuals who continue to serve prison sentences after being convicted in such trials. A statement made by Zhovtis on the occasion of his release can be read here. A complaint in Zhovtis’ case is currently pending with the United Nations Human Rights Committee. For more information, see: http://www.soros.org/initiatives/justice/litigation/zhovtis.